CBS has handed out a pilot production commitment for a new TV show based on the 2011 Relativity Media film Limitless, with Bradley Cooper and Relativity CEO Ryan Kavanaugh executive producing. 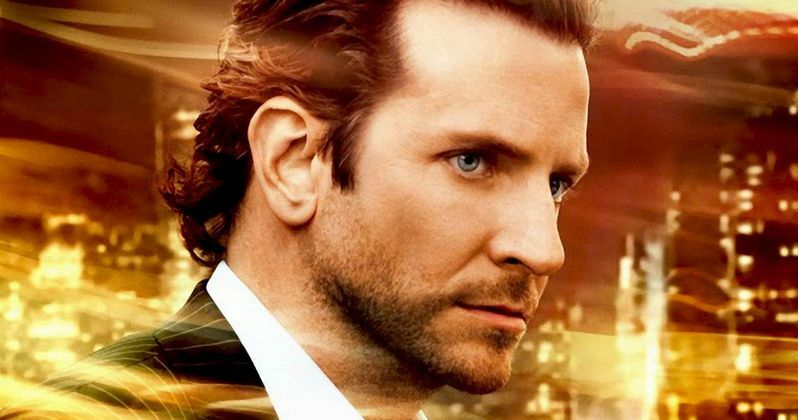 Bradley Cooper starred in the feature film Limitless as a struggling writer who takes a mysterious drug that allows him to utilize 100% of his brain's capabilities. He uses his new abilities to become a financial wizard, although it puts him in a very dangerous world. The TV show will pick up after the movie, telling the story of a man who uses this drug to become a force for good in this world. Elementary executive producer Craig Sweeny is writing the pilot script, with Limitless feature director Neil Burger set to direct the pilot and executive produce. Roberto Orci, Alex Kurtzman and Heather Kadin of K/O Paper Products are also executive producing alongside Bradley Cooper and Todd Phillips through their new Yet To Be Named Company. Relativity's Ryan Kavanaugh, Tucker Tooley and Tom Forman are also executive producing, with original Limitless screenwriter Leslie Dixon and Scott Kroopf serving as co-executive producers. Limitless is just the latest project to move from the big screen to the small in the past few months. Other projects include Fox's Big, Monster-in-Law and Hitch, CBS' Rush Hour and In Good Company, CW's The Illusionist, Showtime's In The Heat Of The Night, and NBC's Marley & Me, The Money Pit and Problem Child.